Android devices have completely changed the mobile technology in last few years. These days phones are not limited to calling and texting, instead they can compete with computers in every field like internet, multimedia, gaming etc. It is only possible because of android technology which is based on Linux and hardware independent. People like to use android devices because of there low cost and extended features like high camera quality, large storage space, large Ram size, high speed CPU, fast Internet, full touch support etc and Google Play Store available for downloading a large number of android apps for free. Android devices can store large amount of data. Sometime we need to share this files with another android user wirelessly using Bluetooth or WiFi. So to manage the files and available devices in an efficient manner and increase the speed of file transfer we need file transfer apps. These apps can control the Bluetooth or WiFi of android devices and make the data transfer simple and fast. 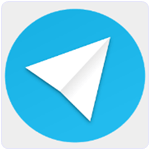 As we already listed out bluetooth file sharing apps for android. But transferring files with Bluetooth is time consuming and difficult for large size files. In that situation best solution is using WiFi file transfer apps for android. By using them we can transfer files from one android device to another at fast speed. If you don’t have any best android file transfer app through WiFi network. So here are best WiFi file transfer android apps. 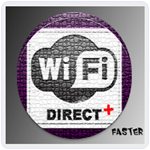 HitcherNet is also used for file sharing between two devices with the help of WiFi direct feature. It is available on Google Playstore for free. You just need to install the app and after connecting devices you have to tap the file option and choose the file which you want to share. It can transfer multiple files between multiple connected devices. It can remember the paired devices and automatically connected to it next time. Approximately 50,000 to 100000 user installed this App. If you are using lower version of Android mobile like 1.6 to 2.3. Then wifi share is best of all in wifi file transfer Apps which is available on Google store for free. We can share large size of file at a time to two or more persons. This App has its two versions one for all devices from version 1.6 and other for devices beyond 2.3 version. Approximately 50,000 to 100000 user installed this App. It is another best app in the list of WiFi file transfer apps for android. It is a light weight Android app which require Android 4.1 and up. We can also send gallery images. It also provide support for folder sharing. We can easily send files from the SD or store file on SD card. It is completely free. Approximately 0.5 million user downloaded this game. It is another good in all best WiFi file sharing apps for android. It is freely available on Google Play store. In order to transfer file we need to connect to same WiFi network. It is best suited to transfer file wirelessly between a computer and Android device wirelessly. We can also use password protection for file transfer. It has a rating of 4.1 on Google Play store. Approximately 10 million user downloaded this App. 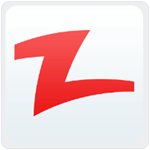 It is rather one of the best app in the list of top rated WiFi file sharing apps for android. It has a rating of 4.1 on Google Play Store. We can send multiple files to multiple devices at the same time. It does not need an existing WiFi connection. 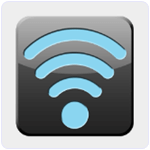 We can also send file to any device or operating system that support WiFi. It is not necessary to have the app installed on the receiving Device. Approximately 5 million user downloaded this App. Hence, these are few best WiFi file transfer apps for android. I hope you like them all and find useful. If we missed any of the best ones feel free to share it with us in comments.